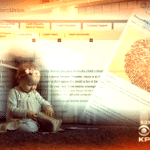 Child Credit Freeze – Why Won't The Bureaus Protect Kids? Over the years, I’ve covered far too many news stories about identity theft. I’ve interviewed adult identity theft victims, child identity theft victims, security experts and even convicted ID thieves. So, from the day I received my daughter’s Social Security card, I was determined to freeze her credit. A credit freeze (aka security freeze) is widely believed to be the single best way to prevent financial ID Theft. Unfortunately, I live in California, one of the 30+ states where the credit bureaus will not allow parents to freeze their child’s credit. Why? Because the credit bureaus are not required to by law. When I discovered that while trying to freeze my daughter’s credit last year, I immediately went into #NewsMom mode. I pitched the story to my boss and set out on a mission to find a way to protect kids in every state. Perhaps you’ve seen the news reports featuring parents who discover that their kid owns a boat, has been sent to collections or has defaulted on a mortgage. 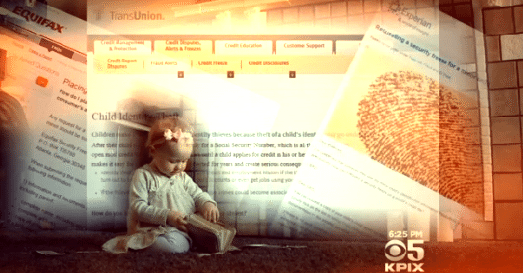 A Carnegie Mellon report found that 1 in 10 children studied were victims of ID Theft. The report concluded that kids could be 50 times more likely to have their identities stolen than adults. Kids’ pristine credit records can be far more valuable than yours or mine. 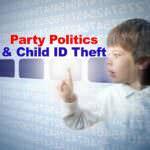 Not only do they provide a blank slate for thieves, but kids’ IDs often go unchecked for 18+ years. Crooks can do a lot of damage in 18 years. The FTC recommends that you check for a credit report under you child’s Social Security number every three to four years. If you find that your child has a credit file that you didn’t create, their identity has likely been stolen. Most experts agree that a credit freeze/security freeze is the best way to prevent crooks from opening credit in your name. A credit freeze automatically rejects any new applications for credit using your information. It does not affect your existing credit; it simply prevents anyone from opening new credit under your Social Security number. I froze my credit on camera in about 10 minutes. 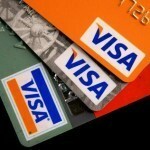 For adults, freezing and thawing your credit is a simple and cheap process that can be done online or over the phone. 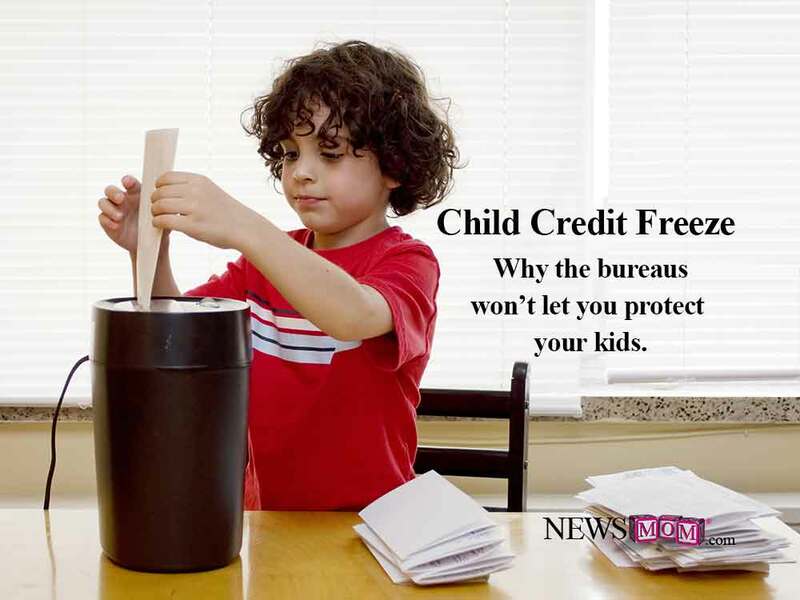 However, the bureaus make it nearly impossible to freeze your child’s credit in most states. Kudos to Equifax, which had a change of heart after I began reporting on the topic last year, and is now the first bureau to allow you to create and freeze your child’s credit file in any state! The primary issue, according to the bureaus, is that most kids don’t have a credit record to freeze unless they’re already a victim of ID theft. Unlike Social Security numbers that are issued at birth, children do not build a credit file until they actually start using credit. 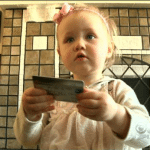 Since you need a credit file in order to freeze a credit file, the bureaus would have to create one for any child who is not already a victim of ID theft. While Equifax will now allow you to freeze your child’s credit in any state, the other two bureaus still refuse. 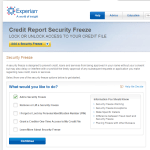 You really need to freeze a credit file with all three bureaus for the action to be effective. TransUnion told me it has a similar policy. Why? Well, the Federal Trade Commission’s David Newman points out that the bureaus don’t make money off of credit freezes. In other words, it’s not profitable for the bureaus to take the time to create a credit file for a child just so they can freeze it. However, in nearly 20 states, lawmakers or attorneys general have stepped in to require that credit bureaus allow parents to place a child credit freeze, whether or not a credit file already exists. Still, two out of three bureaus refuse to offer the same protections to children in the rest of the nation. In a state where we’ve banned plastic bags and mandated vaccines, I was shocked to learn that California parents do not yet have the right to protect their children from ID theft. When I first began reporting on the topic in 2014, I contacted California Attorney General Kamala Harris’ office… repeatedly. Harris had just held press conference on the dangers of ID theft (leading up to the midterm elections). Naturally, I assumed her office would jump at the chance to ensure that children in California had the same protections as those in 19 other states. I sent emails, left messages and even spoke at length with her press secretary, who promised to get back to me before my deadline. I’m still waiting for that response a year later. I then reached out to state lawmakers, who feigned interest but never followed though. More recently, while reporting on a state agency that was printing Social Security numbers on mailed documents, I raised the issue with California Assemblyman Mike Gatto. “For California not to allow minors to have credit freezes just doesn’t make sense,” said Gatto. I explained to him that lawmakers who’ve passed child credit freeze legislation in other states told me that it faced almost no opposition. In the mean time, I found a work-around that enabled me to freeze my kid’s credit without a state law. On my way to work one morning, it occurred to me that all I needed to freeze my daughter’s credit was a credit file under her Social Security number. I did some “recon” and discovered that adding your child as an authorized user to one of your existing cards can legally create a credit “file” with the bureau—similar to the illegal ones created by ID thieves. 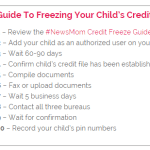 Once your child has a credit file, the bureaus HAVE to allow you to freeze that child’s credit. NOTE: Some credit card issuers do have age limits for authorized users. Now, this does not create a “credit report” or give your child a credit score. Adding your child as an authorized user simply creates a credit “file” with the credit bureaus, which you can now freeze. So, guess whose 16-month old became an authorized user on her mommy’s credit card!?! 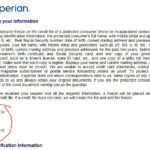 Unfortunately, once I began the child credit freeze process, I quickly discovered that the credit bureaus themselves were putting my child’s identity at risk. In order to verify guardianship, the bureaus require parents to put sensitive information (Social Security card, driver’s license, birth certificate, etc.) in the mail. Experts agree that the credit bureau address on the envelope alone is enough to tip off thieves that there is an entire identity inside. If you don’t think thieves steal identities from the mail, check out this interview I conducted with two convicted ID thieves. Just as concerning, before the bureaus’ overseas call center employees would agree to transfer me to the proper department, they required that I unnecessarily give out my child’s Social Security number over the phone. 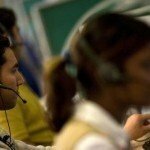 Keep in mind, these Indian call center reps (with names like “Jane Smith”) will not provide you with any identifying information, like an employee ID number or call center identifier. Still, they require that you provide your kid’s SSN just to be transferred to the U.S. In my role as a consumer reporter, I advise against giving that number to your child’s doctor, let alone an anonymous call center rep in India! See my blog post “You Need My Social Security Number But You Won’t Give Me Your Employee ID?” for details on the risk and an amusing transcript of my conversation with that credit bureau call center rep. In short, one of the bureaus now offers a secure online upload option to submit the required documents. 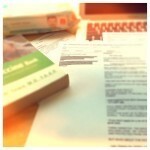 The other two bureaus provided me with fax numbers to submit the forms as an alternative to mailing them to a P.O. Box. The bureaus also told me they’ve now instructed their call center reps to look up accounts using a name and address instead of a Social Security number when requested. However, you do need to know to ask. This information is not public, and you won’t find it on the bureaus’ websites, but they have agreed to allow me to share these work-arounds here. 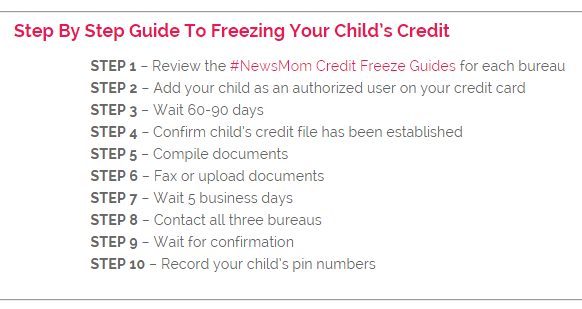 See: “A Step-By-Step Guide To Freeze Your Child’s Credit” for a detailed how-to guide that includes hard-to-find contact information, tips and sample documents specific to each bureau. You’ll also find a candid description of the hurdles and successes I encountered with each bureau along the way. It is important to note that freezes don’t prevent ID thieves from committing Social Security or tax fraud. They also don’t prevent them from stealing and using existing credit cards. 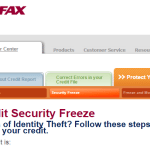 Credit/security freezes only prevent thieves from taking out new credit in your (or your child’s) name. 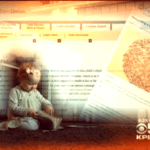 Parents should continue to monitor existing accounts and stay vigilant. My child’s credit is now frozen, and I’ve come up with a work-around for parents who’d like to freeze their child’s credit, too. However, it’s not a perfect solution. From the Identity Theft Council to the Identity Theft Resource Center to the FTC, experts agree that parents should not have to jump though hoops to protect their children from identity theft. Federal law requires that the bureaus allow you to freeze your credit, but your children are not afforded the same rights. I’ve brought the issue to the attention of lawmakers, and I’m hopeful we’ll see child credit freeze legislation passed in CA by the end of 2016. However, ID theft experts agree that federal legislation is needed to ensure that there is one comprehensive law that protects children in every state. NOTE: This post was first published in July 2015 and updated in December 2015.